Eid is the best time of celebrations!!! Every one is buying clothing, accessories and foot wear to match with. Wanna know what I chose for my Eid? To Reveal More Read More!!! Eids preparations means allot of shopping, shopping and again shopping. Well its fun to go on shopping in markets fully humanly packed after Aftar time (fast breaking time). All my preparations are complete, ALHAMDULILLAH, but only shoes were left so we decided to call it a shopping day and after Aftar we were on the roads :p To tell you the truth I didn't go any where else, just stopped at Stylo went to their NEW ARRIVAL show case and selected many shoes including low-heels and few flats and decided upon this one as this one was an instant favourite of me and my hubby. So got it packed pay the cash and TADA!!! This one must have been my "quick-est" shoe shopping lolz. 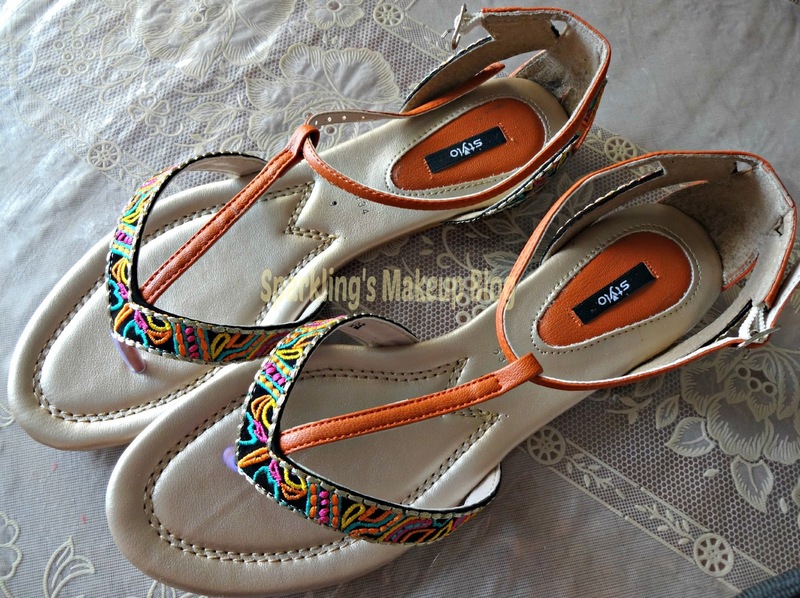 This is a flat sandal, suites my height well. Its a sandal so has a buckle, which is the only thing I don't like as with kids one can not bend all the way down and open and close buckles :p There is traditional motif embroidery on the front strap and also on the back. The front strap has a flip-flop style support, I like it as this makes shoes comfortable for me with a hold between the thumb and toes. 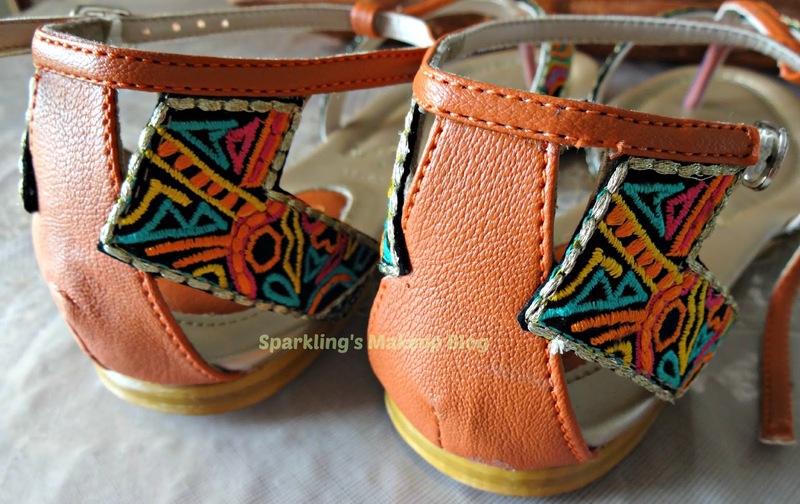 The multi coloured embroidery looks fab on the black colour straps, the main sandal straps and buckle strap of the shoes is in Rust colour. 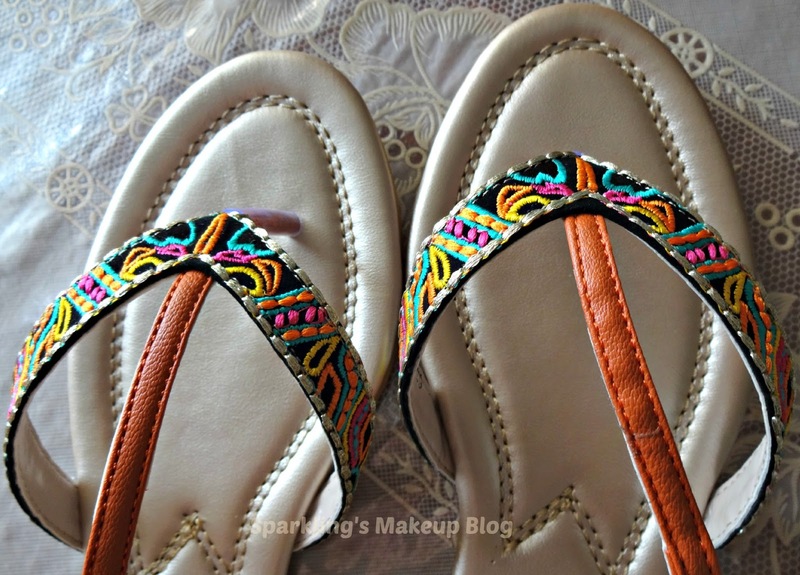 Although its not a perfect match to any of my Eid dress but I am sure it will compliment any Summer dress, either it be Eid or any other occasion. I love the detailing and over all look. 5/5 from my-side. Dears the Holy Month of RAMADAN is soon parting from us, as "GIVING" is one of the main theme spirits of this month I would like to request you all to give your unwanted cloths, accessories and foot-wear to the needy, despite there religion. Let's all have good cloths, accessories, shoes and food for Eid as it is the day of celebration and we all deserve to celebrate equally. If you can afford buy new things for needy people around you and if its possible then give them your unused or unwanted cloths, bangles, jewelry, shoes etc, in usable conditions. It will be good gesture for the non-Muslims too and will be like a blessing for the Muslims who can not afford new and expensive things for EID. May ALLAH bless us all with the blessings of this Holy Month of Ramadan and the coming EID. 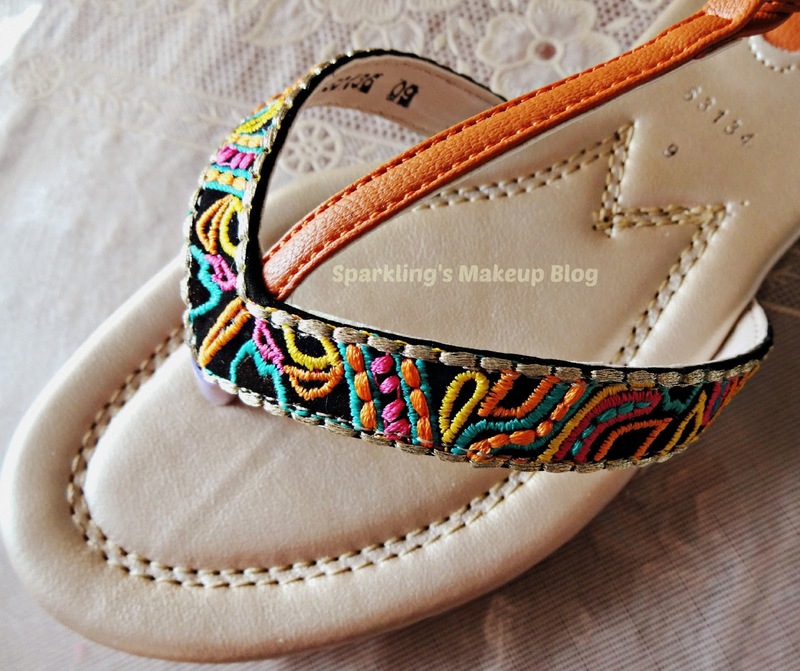 Hope you all like this Post and will love the idea for your preparations for Eid. Do share what you got for Eid? 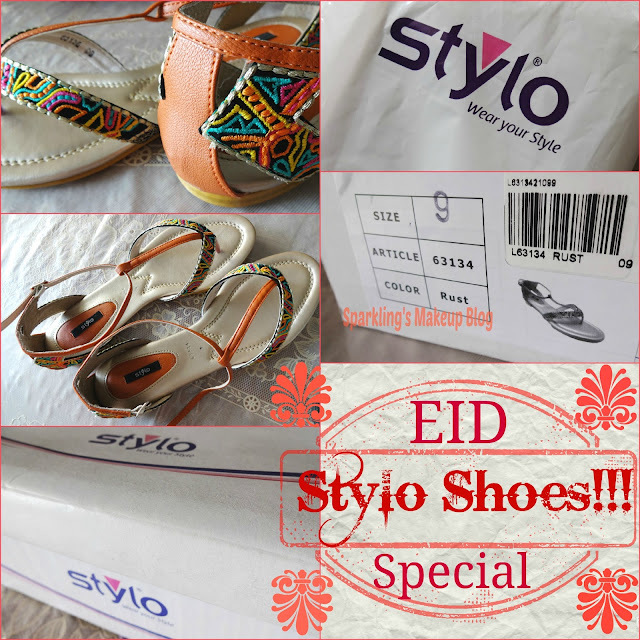 More of such posts will be shared with you all so keep an eye on this space for Eid Specials :). HAPPY last week of RAMADAN!!! oh same shoe size with me!!!!! Very nice sandals, I love the patterns and colors. Looks very comfy too. Have a wonderful celebration of Eid! 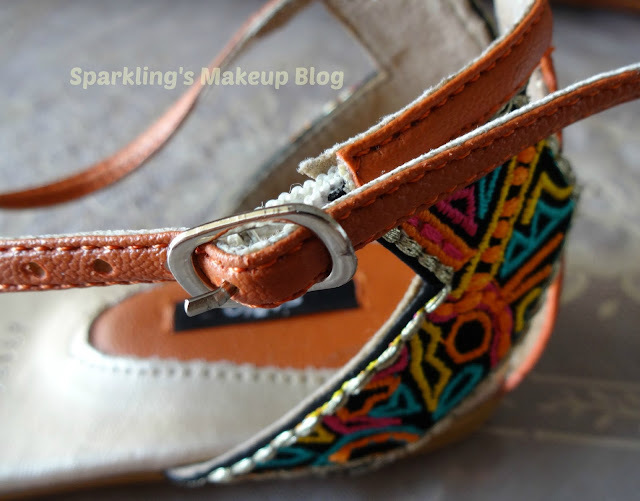 Followed you on bloglovin. GiGlove! 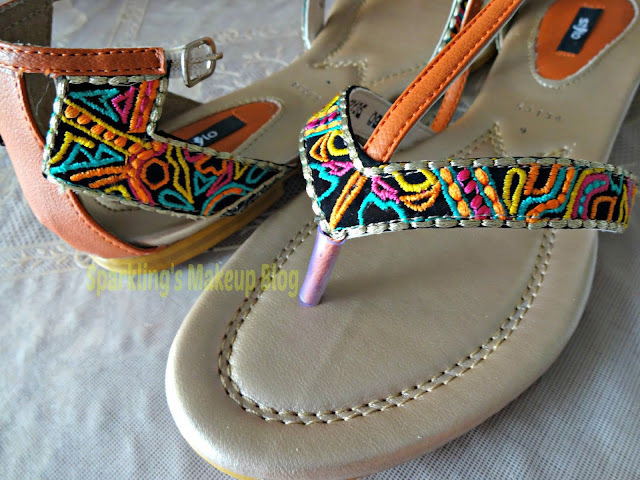 Pretty sandals, love the patterns and colors! 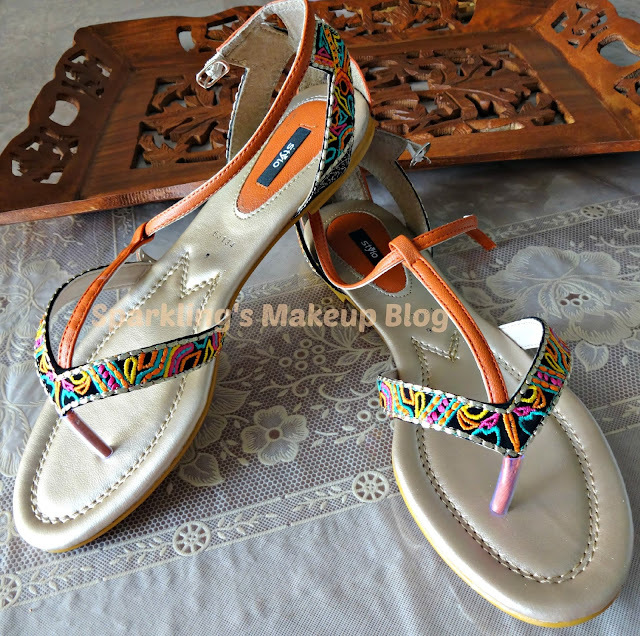 Looks very comfy too and we have the same shoe size, hihi :) have a wonderful celebration of Eid!